Twenty years ago a New Labour witch-hunt stopped Liz Davies from being a parliamentary candidate. Mike Phipps examines the legacy of that experience and asks Liz about the opportunities opening up with Jeremy Corbyn’s run for Labour leader. WHY IS IT THAT, WITH THE EXCEPTION OF JEREMY CORBYN, all the candidates for the Labour leadership are so lacklustre? Are Andy Burnham, Yvette Cooper and Liz Kendall really the best the centre-right of the Labour Party can offer? One reason for the poor quality of these candidates is that we are still enduring the legacy of the New Labour years. To be selected as a parliamentary candidate in those times, you had to be uncontroversial and loyal. Yvette Cooper became an MP in 1997, Andy Burnham in 2001 and Liz Kendall in 2010. After the 2010 election defeat, the Party became less controlling about who could be a candidate and the 2015 intake has produced some more distinctive, authentic and hopefully principled figures. Jeremy Corbyn is 66. He has been MP for Islington North since 1983, selected at a time before the New Labour exclusion machine was even dreamed of. 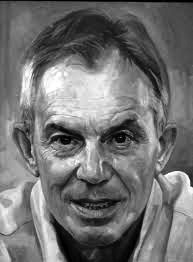 The level of conformity demanded in the Blair years especially fuelled servility and spinelessness and explains in part the absence of younger talent on Labour’s benches to this day. Someone who might have been a towering figure leading the Labour left by now is Liz Davies. It’s 20 years since she was selected as parliamentary candidate for Leeds North East only to be publicly witch-hunted, vilified and denied the opportunity to run by the leadership of her own Party. At a time when some in the Labour Party believe that Tony Blair was a great winner and others damn him only for the criminal invasion of Iraq in 2003, it’s worth recalling the vicious role he and his supporters played in that witch-hunt. “In July 1995,” Liz herself later wrote, “I was catapulted from being an obscure and not atypical Labour Party activist and local councillor to the front pages of the newspapers.” Having been democratically selected by members of Leeds North East, approval by the National Executive would usually be a formality unless there had been procedural irregularities. But even before the NEC met, the press was reporting – because New Labour spin-doctors had briefed it to do so – that Blair had “gone ballistic” and was determined to stop the selection going ahead on the grounds that Liz was too left wing. This, the tabloids decided, was to be an acid test of Blair’s leadership. Liz found herself at the centre of a ferocious media feeding frenzy, with both her political views and private life in the spotlight. The Blairites had fed her to the wolves and with no evidence of any wrongdoing on her part, they were forced to invent some. 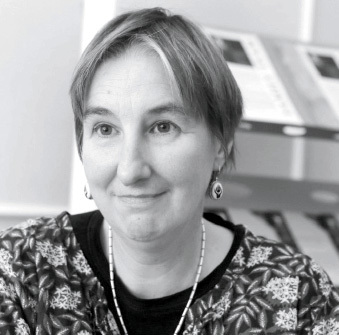 Liz later won a libel action against three Islington councillors who had been persuaded to concoct a story that she incited violence at a council meeting. But this victory came far too late to stop her being deselected at the time by the NEC as an act of pious loyalty to the new leader, although no specific reasons were ever given. Liz wasn’t the only casualty in this witch-hunt. Leeds North East CLP was suspended by the NEC, disciplinary proceedings were taken against its leading activists and four were expelled – the price of defying the Blair machine. New Labour could not get rid of Liz entirely. In 1998 she was elected as part of the Centre-Left Grassroots Alliance slate to the NEC, where she fought hard on a range of policy and organisational issues – detailed in her book, Through the Looking Glass (Verso, 2001) – before resigning from the Party two years later. The significance of Liz’s 1995 exclusion as a candidate was clear. Blair, elected leader only a year earlier, had already expunged Labour’s commitment to common ownership – Clause 1V – from the Party’s constitution. The attack on Liz Davies – and the very brutal, public way it was executed – was a clear signal to party activists that the selection of candidates from the left would not be tolerated and a high price would be paid by those who attempted to disobey. This dissuaded many talented left wingers from even considering seeking a parliamentary candidacy. The result was a generation of uninspiring careerists, three of whom are aspiring to lead the Party today. Twenty years after Liz Davies’ witch-hunt, I asked her some questions about it and subsequent developments. Briefing: Twenty years ago you were in the media spotlight and under intense political pressure as never before. What do you remember most of that period and what lessons do you draw from the experience? Liz: It was an extraordinary, intense experience. Most people who find themselves on the front pages have had some preparation for it: MPs are used to local, and then national, headlines. To look around a train carriage and see that people are reading articles about you, accompanied by your picture, is very odd. And there were times when the press pack acted as a scrum, particularly after the Clare Short denunciation at Party Conference when the Labour Party stewards held back and allowed the press to surround and harass me. 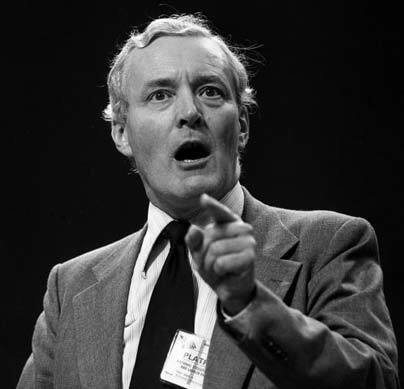 Tony Benn stepped in, stood in front of me and diffused the tension by making jokes at the media’s expense. Mainly I remember the warmth and support from Labour Party members. In Leeds North East and Islington Labour Parties, hundreds of members wrote letters of outrage. Some were close colleagues and friends; others were not; but they regarded my views as falling within Labour’s broad church and therefore my selection as perfectly proper. I also remember watching the case against me fall apart. Blair’s acolytes were desperate to paint me as a full time revolutionary, or a man-hating feminist. But the accusations against me were no reason to deny me the candidacy. I had broken the Labour whip twice on Islington Council, to defend nurseries and adventure playgrounds. When the NEC decided not to endorse my selection, explicitly on the say-so of Blair, they couldn’t manage to find any logical reason, so refused to give one. Even the right wing press recognised this was Blair moving against the selection of a socialist, whose views were perfectly consistent with the views of sitting Labour MPs. In terms of lessons, I learned that when the press smears you, you always, always respond. It’s tempting to let it go, but then a false allegation gains currency. I also learned that many Labour Party members 20 years ago had very different politics from their leadership. There was definitely a hope that Blair might end the years of Tory rule, and that Labour would be elected, hence a willingness to tolerate him as leader. But it was clear to me that Party members – and I was invited to speak at hundreds of local Labour Party meetings around the country at the time – believed in public spending, progress towards equality, and democratic values – very different to the values Blair was imposing on the Party. Over the last 20 years, the disparity between the beliefs of grassroots Labour Party members and those of the leadership has massively increased. Briefing: What assessment do you make of Tony Blair’s role and legacy? Liz: Tony Blair’s greatest achievement was bringing neo-liberal ideology into the Labour Party. The Labour Party used to stand for something different from the Tories. Although there were always sharp political divisions, there was a consensus that inequality should be lessened: the distinction was over how and how much. Nowadays, Labour Party economic policy is simply a reflection of the Tories’, with some small nods to humanity. Read the debate over the Welfare Reform and Work Bill – swingeing cuts to benefits, reduction of the benefit cap which will impoverish yet more children – and the Labour Party’s response has been to join in the Tory discourse about “shirkers and strivers”, to agree that the deficit should be reduced by making benefit claimants poorer. Of course, Blair can never escape the legacy of taking Britain into several wars – not just Iraq, but Afghanistan, Kosovo, Sierra Leone. He and the Labour MPs who supported him bear personal responsibility for the huge numbers of deaths and instability in Iraq and surrounding countries as a result. We saw with the parliamentary vote against action in Syria that the public is now very sceptical about foreign intervention and that’s a good thing. But what Blair also did was to establish the idea that rich western countries should intervene militarily if there appeared to be a moral humanitarian justification – a notion that should have ended with the empire. Obviously in Iraq, the public didn’t buy his attempts at justification. But generally the discourse of “we must do something” has taken hold. And that means doing something militarily rather than providing asylum, hosting peace talks or providing humanitarian relief for civilians caught up in conflict. 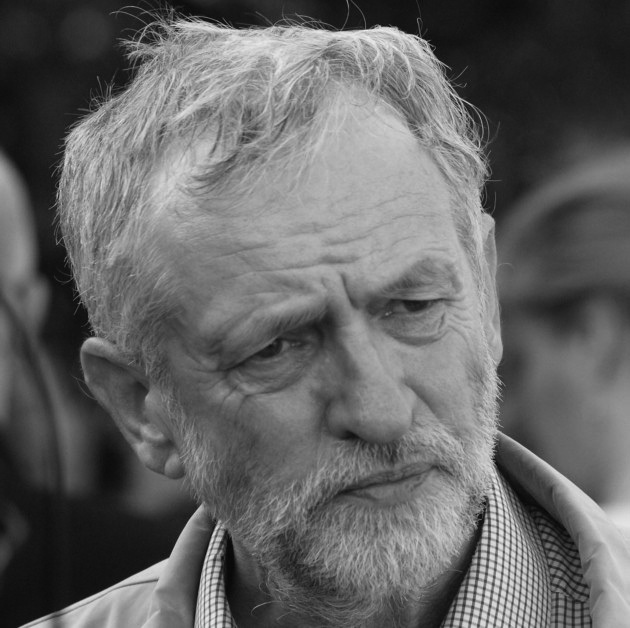 Briefing: When you left the Party, the prospects for a revival of the left looked bleak. Now Jeremy Corbyn seems to be opening up all kinds of possibilities. What is going to come out of all this activity? Liz: When I left in 2001, Blair had entrenched neoliberalism in the Party and changed the structures so that there was no prospect of party members changing policies through democratic process. Later came Blair’s slavish support for American foreign policy. I’m very pleased to join the Party as a supporter because of Jeremy Corbyn’s campaign. There has been a real surge in support and none of us know what is going to happen, because Ed Miliband’s rule change means that the unrepresentative block vote of Labour MPs can’t stop him having a chance at winning. Thousands of people who are not traditional Labour Party supporters are flocking to join because they support Jeremy Corbyn. A Labour Party with Jeremy’s politics is exactly the sort of political party I want to support. The surge of support for Jeremy shows that there is real hunger for a mainstream anti-austerity political party. I hope all those who have been inspired by Jeremy’s politics can work together to build Britain’s anti-austerity movement: the unions, single issue campaigns, Labour Party members, Greens, members of Left Unity and other left parties, anti-austerity campaigners in Scotland and Wales who might support the SNP or Plaid, or no party. All my political life I’ve argued the left cannot ignore the electoral process. If the Labour Party elects Jeremy and becomes an anti-austerity party, I’ll be a very committed member of it. If not, an intense political discussion must be had on the left over whether Jeremy’s result means there is a chance that the Party might turn left, or not. It’s impossible to predict the outcome of that debate. Politically there needs to be an anti-austerity voice at the next General election. 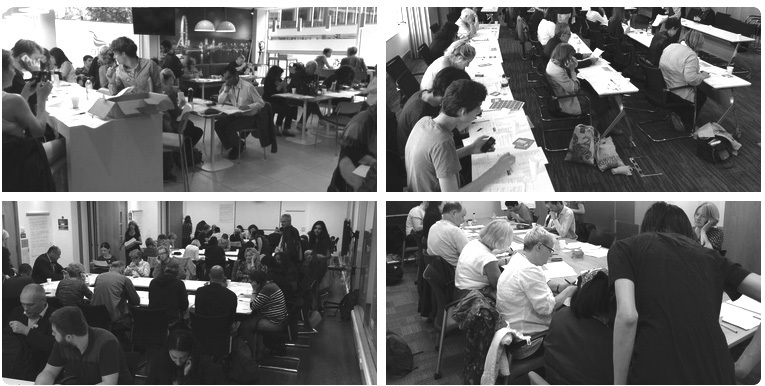 Briefing: How are you supporting the Jeremy Corbyn campaign? Liz: I’m supporting Jeremy Corbyn’s campaign by joining the Labour Party as a supporter, having resigned from Left Unity, and urging others to do the same. I’ve been writing and organising and donating. What’s so fantastic about Jeremy’s campaign is the number of volunteers. The campaign office has been inundated. He’s raising money from ordinary people – unlike the other candidates who receive large donations from the rich. That’s a tribute both to Jeremy’s politics and the support for an anti-austerity, pro-peace candidate, and also to his personal following. I’ve known Jeremy for over 30 years and he’s tirelessly addressed meetings all over the country, he’s worked incredibly hard and effectively on behalf of his constituents, and gathered huge respect, even in Parliament where hardly anyone shares his politics. An immigration lawyer told me that he would be voting for Jeremy because he had regularly seen Jeremy in Taylor House [the immigration tribunal] speaking for asylum seekers and other migrants with immigration cases who were not legally represented. That’s a level of dedication, and common humanity, that marks Jeremy out from the vast majority of Labour MPs. THIS IS THE FINAL PARAGRAPH of the article entitled Liz Davies, the Labour Party and the future of the left written by Graham Bash following Liz’s decision to leave the Labour Party. This entry was posted in Labour Party and tagged Corbyn, Labour Party, Tony Benn. Bookmark the permalink. as a member of cnd would i campaign to keep the bomb.my reply i will conform to labour party as decided by conference so all nominations changed to kim howells who was not the choice of the local party, who immediately became hattersley s private secretary. I remember Liz at Uni. Was appalled at this treatment. Welcome back! I remember Liz from Islington LP. She was and is a real inspiration to me. I too left the LP after Blair ignored the million plus demo, against Iraq war. Jeremy Corbyn is EXACTLY what the LP needs. I have known Jeremy almost 30 Years and know him to be a man of great integrity.